Obesity and overweight are defined by excessive amounts of adipose tissue in comparison to lean body mass. Adipose tissue is made up of adipocytes and is responsible for storing energy in the form of lipids (fat), but also acts as a cushion, protecting vital organs and insulation in the body. An individuals Body Mass Index (BMI) is the most used method to evaluate the weight status of an individuals body and their composition. This is obtained by dividing a person’s weight by the square of the person’s height. Anything over 25 kg/m2 is defined as over weight and anything over 30 kg/m2 is considered to be obese. Increased fat is the main symptom for obesity. As weight increases, so does the risk of disease and premature death. A person’s over all health and well being are completely jeopardized as they are more vulnerable to cardiovascular disease, high blood pressure, respiratory disease and some cancers to name a few. Based on the differences between the anatomical characteristics of adipose tissue, or, loose connective tissue, there are two mechanisms by which it grows, hyperplasia and hypertrophy. Hyperplasia is usually found in children and is an increase in fat cells. There can be up to 5 times more fat cells than those in a healthy child of average weight. Hypertrophy is usually found in adults and is a great increase in the size of the fat cells. The number of fat cells generally stays the same and the fat distribution is mostly centralized. Interestingly, it is possible for adults to grow more fat cells but only after the existing fat cells have reached maximum size. It must be noted that the type of adipose tissue obesity does not give any indication as to whether a person will be more or less successful in achieving and maintaining weight loss. The study of weight management and nutrition Is being continued at Relentless Fitness and all research will be shared. 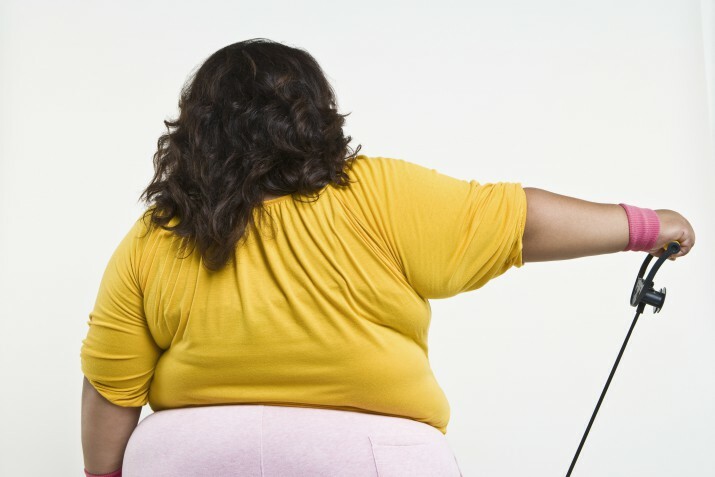 Being obese keeps you at higher risk of illness or injury and premature death. If you are obese or would like a professional opinion, please do not hesitate to contact me. Remember, BMI is a common method but it is not accurate, as it does not take into consideration your muscle mass, thankfully, muscle is heavier than fat and therefore, this means the BMI calculation cannot be the only method to determine your health. You may wish to consult your GP before taking up a new training regime.